Paris and Nicky Hilton sitting front row, a live performance from St. Vincent, Supermodels ranging from Karen Elson, to Joan Smalls, and even Jourdan Dunn and Karlie Kloss, and a raining glitter finale. With all that excitement, you know that there is something to celebrate, as Diane Von Furenstenburg has to celebrate 40 years of the Iconic Wrap dress. By now, pretty much anybody in fashion would know what the Wrap dress is, and would talk about it as they would Coco Chanel. What’s not to celebrate? For the collection, Diane Von Furenstenburg presents none other than a flawless array of her signature flirtatious and vibrant prints, seen throughout the past 40 years of the Wrap dress. While colored furs wrap around some of the gowns for a bit of warmth during those days in the death of winter. In the finale, came a mist of raining glitter, with models in matching golden Wrap dresses, to celebrate none other than the dress’ 40th Anniversary. Set with a Super modern reflective set, in the Grand Palais in Paris; this morning Karl Lagerfeld yes yet to surprise us of all things dynamic coming our way this Haute Couture season. Candy coated and bedazzled sneakers finish off every look. While even matching knee and elbow pads, and even a fellow bum bag as a companion, anyone? Oui, Oui!!!!!!!!!!!!!!!!! 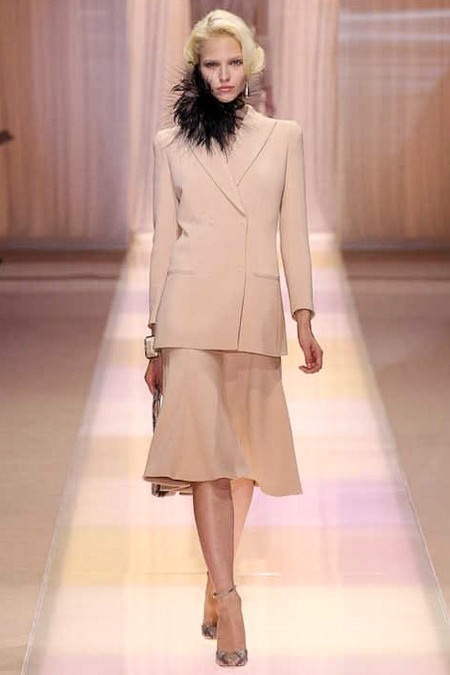 To me, the collection felt very fresh and futuristic, similar to how I felt about yesterday’s Christian Dior and Giambattista Valli collections, but what really stuck with me from Chanel’s collection was how futuristic and Sporty the collection might have gotten, the collection always seemed to have that Elegant and Class that kept the House going back in Coco’s day. Something that I truly enjoy, as I have a very Classic, Preppy, Elegant, and Chic style. The dresses at the beginning of the collection made me think of Candy coated Easter eggs, while the white shifts made me think Coco Chanel. Then the jewel and feather encrusted gowns towards the end made me think of a Classic Flapper. In the end, Cara Delevingne comes out as the bride, with Lagerfeld’s godson, Hudson, carrying that Gorgeous chiffon train. Leading to a finale, of a Chanel Girl ready to face the bright future up ahead of her. Yeeeeeehaw!!!!!!!! Karl Lagerfeld presents Chanel‘s Pre-Fall 2014 collection in Dallas, bringing an array of Rodeo, Native American, and Cowgirl inspired ensembles. 56 years after Coco Chanel, herself, spent time in Dallas declaring that she will start designing Haute Couture again. In my opinion, Lagerfeld couldn’t have picked a better time to present a collection in Dallas, as fringe, animal prints and furs of all kinds, and Knee-high Equestrian boots have pretty much been dominating the runways. At Chanel, the theme was high fashion mixed with the fashions of Dallas. As tweed gets paired with fringe, feathers, Cowgirl hats, and Cowboy boots. Ponchos and bohemian inspired printed skirts and sweaters get paired with the Equestrian boot. Sheer and Sparkly evening gowns get a bohemian print, and are dressed down when paired with a denim jacket. While ruffles and frills also get dressed down with denim. Rodeo gal outfits leave me obsessed, (especially the blue Rodeo gal look that Sigrid Agren sported, which even Zac Posen swooned about last night on Instagram). And ponytails are finished off with Chanel feathered hairpieces. The outcome: Just one Stunning Chanel show. As I was flipping through the November issue of Instyle magazine, with Taylor Swift on the cover. I came across a new shot from Chanel‘s Resort 2014 campaign, a lot more Classy and Dramatic in my opinion than the first shot released of Ashleigh Good and Nadja Bender just 2 weeks ago. another upside to the new shots, is that there is a third face of the campaign, Spanish Beauty Dalianah Arekion. Which of whom, made her runway debut opening none other than Givenchy‘s Fall 2013 show. I feel that the two new shots to the campaign, definitely bring a more Classy, Dramatic, and Coco Chanel feel than the first shot. Photographer, Karl Lagerfeld definitely captured the Beauty of the Clothing and the models in these shots, and I think that this Campaign is very appealing to the average women whose willing to spend money on the latest Chanel clothing for the Resort season. 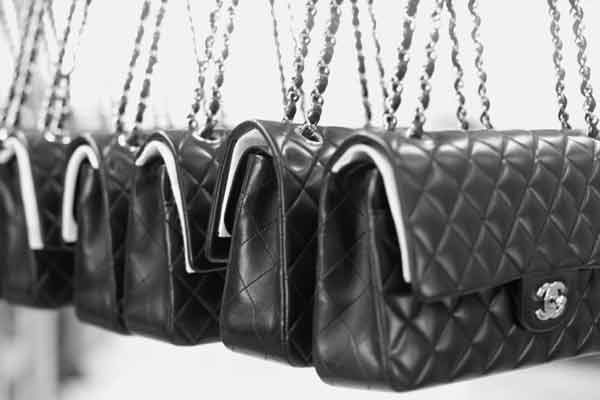 Today is National Handbag Day!